Full confession. I don't have a garden anymore, at all. With exception of two measly under-watered tomato plants living in pots on my patio, I am landless and green thumb-less. It will be the first time in 15 summers that I am not tied to either livestock or a garden to take care of. I am taking full advantage of that rootlessness. I know it sounds like heresy to many people in the Local Harvest community and my other farming networks, but I have zero guilt about it right now. I am camping, hiking, going out dancing, relearning how to play the piano, playing with my toddler on the beach, and reading way too many books at the same time. I am delighted to shop once or twice a week at area farmers' markets or buy meat in bulk direct from farmers. I round that out with a grocery store visit once a week and probably too many nights eating out. Summertime is honestly not my favorite time to cook. Last night I had a huge salad with smoked wild salmon on top with a glass of crisp, local Chardonnay to go with it. Utterly divine, no cooking needed. Although I have joined the low/no-carb bandwagon (and lost 10 pounds as a result), I make a special exception for the natural sugars of summer berries. I am not a big fruit eater the rest of the year, but starting in May with strawberries, then June cherries, then July blueberries, raspberries, and blackberries, and then August wild huckleberries (and peaches), I can polish off a pint a day of berries. Again, no shame in my obsession. I sometimes feel like a bear stockpiling for winter, but in my case I am pounding antioxidants for winter colds rather than for sleeping all winter. I stake out two patches of wild blackberries every summer, checking them weekly for ripeness. They are both located in areas that don't get sprayed, but have good access to the full extent of the canes. Then, when they are ripe, I pack up a canvas bag with several reusable containers and pick all I can from the patches. I take them home, wash them in a sieve, then set them out to dry. Once dry, I pack the berries into pint size freezer bags to be dealt with when I have more time and cooler temperatures in my kitchen. Usually in October or so, I pull out the frozen wild blackberries and blueberries that I get from a u-pick farm, and concoct the most delightful black n' blue jam. I will provide a recipe for this jam below. Needless to say, it is the jam that gets polished off the fastest and the one that my kids fight for in the winter. I attempt to make enough to get through the whole winter, but last season we were out by February. I also make copious quantities of Balsamic Plum Jam from the two Italian plum trees on my former homestead. Hopefully I will still have access to those plums this year. It's another household favorite that goes well on plain yogurt, vanilla ice cream, and even as a glaze for pork or chicken. Do you have any favorite summer fruits or ways that your preserve the warmth and sweetness of summer? I would love to hear from you, either in the comments or send me an email. Maybe I will feature one of your stories or recipes in a future newsletter. Click here for our readers' comments. What if there was a healthy guilty pleasure? Finally, there is! Introducing the world's first and only grass-fed beef chili made with bone broth, specially created by our friends at Kettle and Fire. One filling meal to cover your nutritional bases that you (and your kids) will crave. 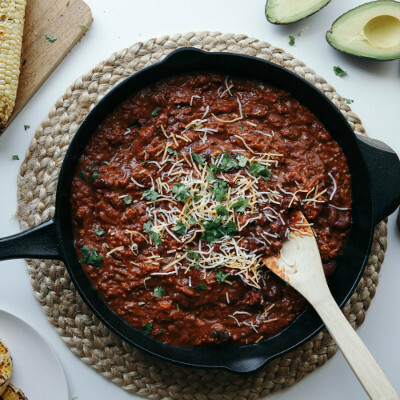 Kettle & Fire is offering LocalHarvest subscribers a fantastic deal on their new grass-fed chili. For a limited time, get 15% off your order for their Beef Chili with Beans. If you love Kettle and Fire's outstanding bone broth recipes, you'll want to give this one a try too. LocalHarvest helps family farms thrive. One of the ways we do this is by offering an affordable, user-friendly CSA management program using cloud-based technology. With over 10 years in use by hundreds of farms, we have created a streamlined platform that will help you get out of the office and back to farming. Check out CSAware to see how it might help your business. Feel free to multiply this recipe based on how many plums you have. I usually make around 10 times this amount. Also, I add more balsamic vinegar than is called for because I like the jam to have stronger notes of the balsamic flavor. You can unsubscribe from this monthly newsletter from LocalHarvest here.